What a wonderful afternoon we’ve had! Absolutely exceptional I would say! Our guest speaker – Dr Paul Whittaker, OBE – presented ‘More music to the ear – The Osmonds, The Proms and More …’. For me it was a quite stunning and inspirational experience! Peter Gibson gave the vote of thanks to Paul and his interpreter – Andrew. Amusingly Paul had brought along a collection bucket for his charity ‘Music and the Deaf’ – much better and bigger than our usual collection boxes – and I do hope it was full to the very top with your donations – thank you. Everything else was rather insignificant! Nevertheless I will just mention that Calderdale SCOPE is seeking to provide mentors for survivors of stroke. For further information please contact Heather Barham on 01522 367544 or at aspire.mentoring@scope.org.uk or our Secretary – Anne Foster – can provide further information. We need much more help, please. I reported that there will be 4 or 5 vacancies on the Committee in June when we have our AGM. We will definitely need an Assistant Treasurer. We have each written a job description of what we do and these are now on our website – on the Committee page. Please have a look at them. 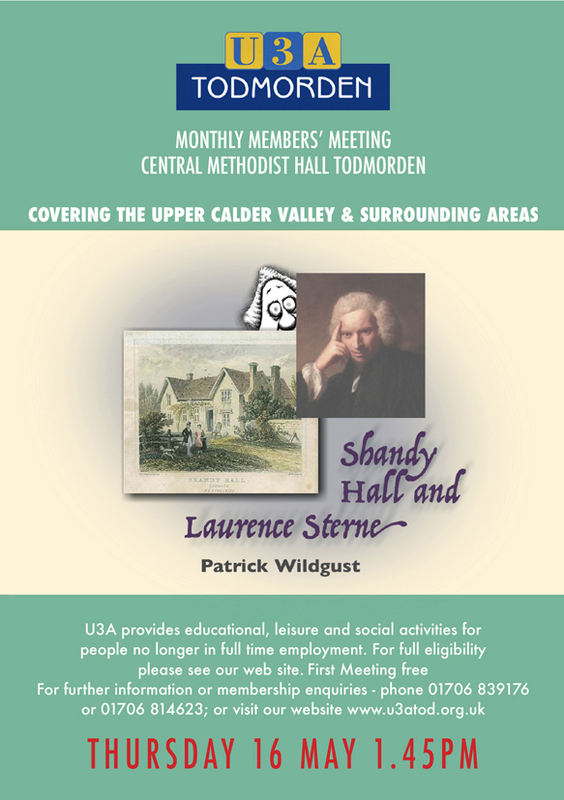 I’m sure some of you would like to make a greater contribution to U3A Tod. You are also invited, as ever, to observe our Committee meetings – the next will take place at 10 am on Tuesday, 18th February. I’m developing my Chairmanship skills by the way – last Tuesday the meeting lasted much less than two hours! Let me know if you would like to observe us. Gail Allaby – Groups Co-ordinator – reported on our new special interest groups – I will send her full report separately – and she thanked our 30 Convenors. I second her comments – our Convenors do such a wonderful job all the time and we are lucky to have such dedicated members who provide us with such pleasure and enlightenment. Ernie Rogan outlined the plans in place for the next Let’s Go event to Dunham Massey Hall in March. You need to contact Linda Cook quickly to get your name on the list and further details will be available shortly. Our next meeting is on Thursday, 20th February, 2014 when our guest speaker will be Barrie Yates – ‘The machine that changed the world – the development of the motor car’.